Venice goes by many nicknames, “The Floating City,” “The City of Bridges,” and “The City of Canals” among them. Whatever you call it, it’s one of the most popular destinations in Italy, with between 26 million and 30 million people visiting per year. But despite its beauty, the city suffers from massive overcrowding, devastating floods, and pollution from the massive cruise ships that pass through every day. While many people may still consider a trip to Venice worthwhile, these disappointing photos show the reality of the less glamorous aspects of the city. CHARLESTON, S.C. (WCIV) — The South Carolina State Supreme Court will determine whether neighbors living near the city’s Union Pier neighborhood have the right to challenge state pollution permits issued for a large new cruise ship terminal proposed for historic downtown Charleston. The Court today provided notice that it will review an appellate court decision that declared neighbors did not have the right or the standing to question the legality of pollution permits. The permits would authorize construction of a 20-acre cruise terminal complex in downtown Charleston next to a National Historic Landmark District. The terminal would be designed to handle much larger vessels than have previously operated out of Charleston’s historic area. “This is a case about neighbors across South Carolina having the right to challenge unlawful permits that would authorize major polluting activities right next door,” said Blan Holman, managing attorney for the Southern Environmental Law Center’ Charleston Office. For years, neighbors, preservationists, and conservationists have asked for measures to minimize pollution and traffic. When the S.C. Department of Health and Environmental Control issued permits for the project without those measures, the groups sought review in the state Administrative Law Court. In 2013, in a separate but related case challenging federal permits, a federal court reached the opposite conclusion on standing. The court eventually threw out the federal permit as unlawful. Before state and federal officials, the local groups put forth options they say could reduce pollution, such as plug-in power used in other ports to reduce the soot emitted by cruise ships idling in port. When the state permit was issued without considering those options, they challenged it as unlawful. Holman said he was surprised the matter had gone on for long as it has, given the economic value of the Charleston historic district and available options used by other ports to reduce pollution and traffic. 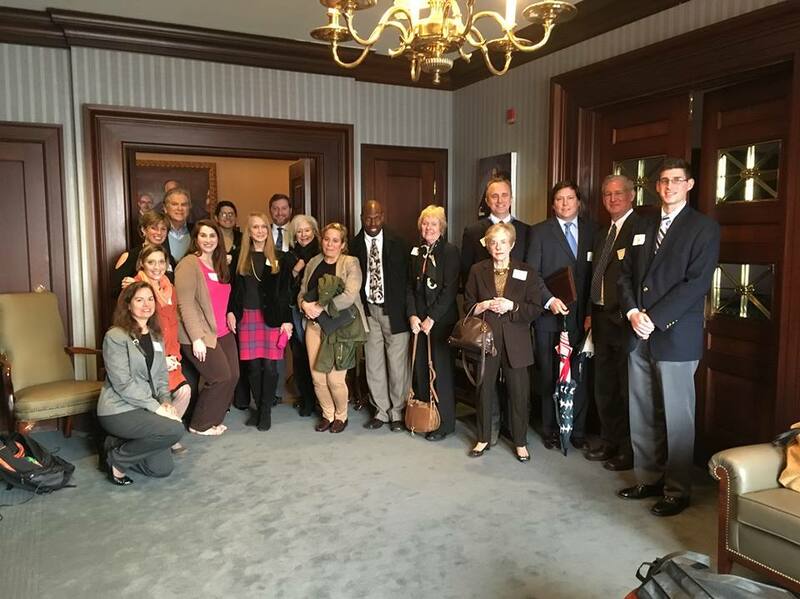 SELC and other attorneys represent the Preservation Society of Charleston, the Historic Charleston Foundation, the Historic Ansonborough Neighborhood Association, the South Carolina Coastal Conservation League, the Charleston Chapter of the Surfrider Foundation and Charleston Communities for Cruise Control. The state Supreme Court’s decision to take up a local lawsuit challenging a permit for a new and expanded cruise ship terminal is a welcome development not just for the plaintiffs but for any individual or organization seeking relief from a governmental decision. At issue is the legal “standing” to challenge a ruling or action. Without it, judges dismiss cases before ever examining the underlying complaints, which in this case concern pollution and traffic generated by cruise ships. To be granted standing, plaintiffs typically have to demonstrate they have suffered direct harm by the action in question. And so far, claims that exhaust fumes have caused sore throats or aggravated respiratory conditions have been deemed insufficient. But if Charlestonians and their advocates don’t have a say in how in their environment is shaped, who does? In the cruise ship case, the plaintiffs, including neighborhood, historic preservation and environmental groups, are challenging a 2012 permit the state Department of Health and Environmental Control (DHEC) issued to the State Ports Authority to rehabilitate a wharf for a new terminal adjacent the existing one at the foot of Market Street. But shouldn’t anyone have a right to ask a court to review a decision that affects them? We think so, and so does attorney Blan Holman, who is representing the plaintiffs. “We will ask the Supreme Court to restore those rights, which are vital to keeping the government in check and accountable to citizens across South Carolina,” he told The Post and Courier recently. In 2013 in federal court, where rules about establishing standing differ slightly, a judge rejected an Army Corps of Engineers permit issued for the project, saying the agency focused only on replacing some pilings under the wharf and failed to consider the environmental impact the new terminal would have on the historic neighborhood surrounding it. So far, it’s unclear when the state Supreme Court will take up the long-running case against DHEC, but it’s worth noting that Carnival Cruise Line plans to replace its Charleston-based ship Ecstasy with the slightly larger Sunshine in May. For the time being, the State Ports Authority is sticking to its self-imposed cap of 104 port calls per year. But the cruise industry continues to expand, and the agency will no doubt come under increased pressure to lift that cap if the terminal project is allowed to move forward. Putting arguments for or against cruise ships aside, we hope and trust the state’s highest court will decide that, indeed, citizens do have a right to their day in court when it comes to governmental decisions affecting the environment — truly a shared asset in which we are all stakeholders. A case that will help decide whether the State Ports Authority builds a new terminal for cruise ships near downtown Charleston is headed to the state’s Supreme Court. South Carolina’s top court agreed on Tuesday to hear an appeal of a lower court’s ruling that would have let the project move forward. The state Court of Appeals ruled in November that environmental and historic preservation groups don’t have a legal right to stop state regulators from issuing a permit that would allow construction of a new terminal. “This is good news for neighbors seeking to ensure that traffic and pollution from thousands of vehicles using a large terminal are minimized as the law requires,” said Blan Holman, a lawyer with the Southern Environmental Law Center, which is representing groups opposed to the project. Erin Dhand, spokeswoman for the ports authority, said the agency has no comment on the Supreme Court’s decision. The SPA has been trying for years to build a $43 million terminal for cruise passengers on the north end of Union Pier. While the authority says the new site would improve traffic flow, opponents say the facility — three times larger than the existing building near the end of Market Street — would add to congestion by bringing 1,600 cars and dozens of trucks, buses and taxis to the area on a regular basis. The appeals court, in its November ruling, said opponents did not provide any evidence that they would suffer direct harm from a new terminal. Instead, they “presented only speculative claims that the proposed passenger terminal would adversely affect their property values and businesses,” the ruling stated. The case centers around a permit the S.C. Department of Health and Environmental Control issued in 2012 allowing the SPA to place five additional clusters of support pilings beneath an existing warehouse. That’s where the maritime agency wants to build a new terminal, replacing a nearby 1970s-era building used mostly by Carnival Cruise Line. Terminal opponents say DHEC issued the permit without completing an analysis of the effects on nearby neighborhoods or considering alternative locations. The S.C. Administrative Law Court said in 2014 the opponents don’t have a right to challenge the permit, setting up the appeal. Opponents of the Union Pier proposal say they would prefer a new terminal is built farther from the city’s historic areas, such as at Veterans Terminal in North Charleston. They also advocate the use of shore power — port-side electric plug-ins for ships while they are docked to reduce emissions. Charleston needs to learn from Europe! In Giovanni Bonazzon’s paintings, Venice is a vision of serenity. Bridges arch gracefully over rippling canals, sunlight bounces off flower-filled balconies, and not a single human mars the tranquility. Bonazzon’s daily vista is not as tranquil, however. An artist who paints and sells watercolors from an easel set up near San Marco Square, he has a ringside seat to the selfie-posing, ice-cream-licking hordes who roil their way daily toward the Doge’s Palace, and he readily agrees that tourism is killing his hometown. That’s a refrain echoing in a growing number of European cities. The neoclassical gems that once made up the grand tour have been stops on package tours since the 19th century. But it’s only over the past decade or so that the number of travelers to these and other must-see destinations risks subsuming the places. Around 87 million tourists visited France in 2017, breaking records; 58.3 million went to Italy; and even the tiny Netherlands received 17.9 million visitors. But Europe is bearing the brunt. Of the 1.3 billion international arrivals counted by the U.N. worldwide last year, 51% were in Europe–an 8% increase over the year before. Americans, in particular, seem drawn to the perceived glamour and sophistication of the Old Continent (as well as the increased spending power of a strong currency). More than 15.7 million U.S. tourists crossed the Atlantic in 2017, a 16% jump in the space of a year. With tourism in 2018 expected to surpass previous records, frustration in Europe is growing. This past spring witnessed antitourism demonstrations in many cities throughout Europe. On July 14, demonstrators in Mallorca, Spain, conducting a “summer of action” greeted passengers at the airport with signs reading tourism kills Mallorca. Now, local governments are trying to curb or at least channel the surges that clog streets, diminish housing supplies, pollute waters, turn markets and monuments into no-go zones, and generally make life miserable for residents. Yet almost all of them are learning that it can be far more difficult to stem the tourist hordes than it was to attract them in the first place. The reasons for this modern explosion in tourism are nearly as numerous as the guys selling selfie sticks in Piazza Navona. Low-cost airlines like easyJet, Ryanair and Vueling expanded dramatically in the 2000s, with competitive ticket prices driving up passenger numbers. From 2008 to 2016, the cruise-ship industry in Europe exploded, growing by 49%. Airbnb, which launched in 2008, made accommodations less expensive. Rising prosperity in countries like China and India has turned their burgeoning middle classes into avid travelers. Even climate change plays a role, as warmer temperatures extend summer seasons and open up previously inaccessible areas. Over the past few years, Barcelona has begun taking action to improve tourist behavior, like fining visitors who walk around the city center in their bathing suits. The current mayor, Ada Colau, has dramatically intensified that action. In January 2017, her government prohibited the construction of new hotels in the city center and prevents their replacement when old ones close. Cruise ships that stop for the day may struggle to get docking licenses, as the city prioritizes those that begin or end their journey in Barcelona. Tour groups can now visit the Boquería market only at certain times, and the city is considering measures to ensure locals can still buy raw ingredients there–and not just smoothies and paper cones of ham. Other places are also turning to the law to reduce the number of globetrotters. Ever since its medieval center stood in for King’s Landing on Game of Thrones, the walled Croatian city of Dubrovnik has been overwhelmed by fans of the HBO series. In 2017, Dubrovnik limited the number of daily visitors to 8,000; its new mayor now seeks to halve that amount. Amsterdam, whose infamous drug culture and picturesque canals drew at least 6 million foreign visitors to the city in 2016, has adopted a carrot-and-stick approach. The Dutch capital has introduced fines for rowdy behavior and banned the mobile bars known as “beer bikes,” while simultaneously attempting to lure visitors to less congested sites like Zandvoort, a coastal town 17 miles from the city center that has been rebranded Amsterdam Beach, through apps and messaging systems. The city has also raised its tourist tax to 6%, joining several other cities and some countries that aim to control visitor numbers with higher levies. At the start of 2018, Greece imposed its first tourist tax, which ranges from roughly 50 cents a night to four euros. In Iceland, which receives nearly seven times as many visitors as it has residents, lawmakers will consider a tax this fall on tourists coming from outside of Europe. Yet even in liberal Europe, not every government is willing to raise taxes. Authorities in the Lofoten Islands in northern Norway beseeched the government to raise levies after more than a million tourists visited in 2017, thanks in part to the movie Frozen. The 25,000 inhabitants found their single main road and its sparse facilities completely overwhelmed. Yet some people benefit more than others. Canny investors buy up residential properties in desirable locations and convert them into tourist apartments, provoking housing shortages and pushing up prices. Again, some cities have taken action. Copenhagen, for example, has limited the number of days per year that owners can rent out their residences. Barcelona has targeted Airbnb itself, forcing it to share data about owners and remove listings for unlicensed apartments. It has also launched a website where visitors can check if a potential apartment is legally registered. But speculators are hard to deter, especially as Airbnb doesn’t require owners to reside in housing that is rented through the site. Venice has not done nothing. The local government has restricted the construction of new hotels and takeout restaurants, and created a fast lane for residents on public transport. It has a plan in place to ease congestion by diverting foot and boat traffic on exceptionally crowded days this summer, and now employs 22 stewards in vests that read #EnjoyRespectVenezia to prevent tourists sitting on monuments, jumping in the canal, or otherwise misbehaving. And therein lies a hint of what is at stake. Venice has been losing residents for decades, dropping from nearly 175,000 in 1951 to around 55,000 now. The city seems close to uninhabitable in certain areas–its streets too crowded to stroll down, its hardware shops and dentist offices replaced by souvenir stalls. The same cycle threatens Barcelona and Florence; tourism drives locals out of the center, which then leaves even more spaces to be colonized by restaurants and shops that cater to tourists. Annelies van der Vegt understands the sentiment. A musician, she lives in the center of Amsterdam but is tired of finding entire tour groups on her doorstep, gaping at her 17th century house. “I’m thinking of moving to Norway,” she says. As Venice, Italy plans a multi-billion dollar mainland cruise terminal in response to cruise ship damage to the historic island city, the South Carolina State Ports Authority (SPA) is fixated on opening a new cruise terminal as close as possible to Charleston’s Historic District. 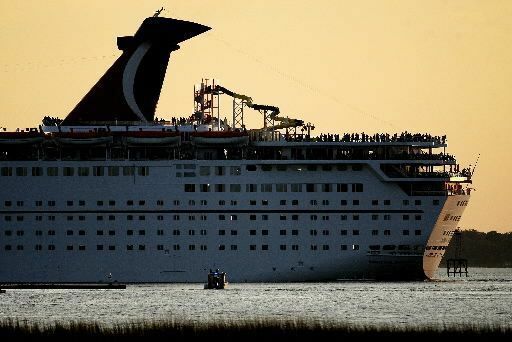 As Venetian officials voted to divert large cruise ships weighing over 96,000 tons away from St. Mark’s Square, the Grand Canal and the Ducal Palace, Carnival Cruise Lines announced that the 103,000 ton Carnival Sunshine will be home-ported near the end of Market Street. Ironically, it’s the Sunshine, the largest Carnival ship ever home-ported here, that will block our sun and views. She accommodates 3,002 passengers, 50 percent more than the Ecstasy she’ll replace. Charleston is sailing backwards, refusing to grasp the enormous damage the worldwide cruise industry has inflicted on historic port cities. We must confront the issue of a downtown cruise terminal head on. Since 2011, citizens opposing the Union Pier site have proposed an elementary solution: Locate the new cruise terminal away from historic downtown. Potential sites include the Columbus Street Terminal, now mostly used as a parking lot and a shipping site for BMWs and the 110-acre Veterans Terminal at the old Navy base, not used for much of anything, yet near highways and able to handle cruise traffic without creating congestion. Predictably, the SPA has repulsed every suggestion offered to mitigate the impacts of a cruise terminal downtown, including shore power and that includes moving it. Now there’s a new question: Is the SPA attempting to ensure that it can’t be moved? Last December, the SPA announced that it was selling 7.2 acres along with a 9,100 square foot building on Morrison Drive at the entrance to the Columbus Street Terminal. This on-street parcel, well away from downtown, would have provided an ideal entry for cruise terminal traffic. Later in that speech, Newsome said that “In 2010 … we had 67 cruise ships.” What he didn’t say was that in 2015, Charleston would host 93 ships. This year we’ve reached the SPA’s voluntary annual limit of 104 ships, for the second year in a row. And starting next year, Carnival predicts that the Sunshine alone will carry 220,000 passengers annually — “roughly matching the total number of passengers all ships brought to Charleston last year.” That’s a significant jump, because an additional 28 non-Carnival ships will visit Charleston this year. Worldwide, cruise passengers soared from 4 million in 1990 to 25 million today. Cruise passenger growth troubles many downtown residents. Although the SPA voluntarily agreed to limits of 104 ships annually with a maximum of 3,500 passengers per ship, those limits aren’t binding. A much-heralded city ordinance didn’t codify those limits as many thought; it only obligated the SPA notify the city a year in advance if it wants to break through those limits. So far, the SPA has lived up to its voluntary limits and claims that will continue. Yet the SPA is still awaiting permission to build a terminal downtown at Union Pier, with an existing 1800-foot pier that can dock the world’s biggest ships. If the SPA’s terminal application survives a citizens’ appeal in the S.C. Supreme Court and if its application is approved by the Army Corps of Engineers — in other words, if the SPA gets everything it wants — what will happen to those voluntary limits? It’s not just the added traffic, noise, pollution, the high potential for irreversible environmental damage to the Historic District and the ever-growing discharge of cruise passengers onto our small-scale city that so strongly argues against a downtown cruise terminal. It’s economics and common sense. That 63-acres on Union Pier may represent the most prized undeveloped waterfront property in the Southeast. Hard evidence supports that opinion — the SPA’s 3.5-acre Concord Street waterfront headquarters sold for $38 million. The SPA plans to develop the southern 40 acres of the property. But using the remaining 23 prime acres for a cruise terminal, especially with nine acres of paved surface parking for cruise passengers, must be the lowest and worst use for this exceptional property. “We should be addressing our resilience issues and restoring the shoreline back to a spongy, natural state that can absorb the velocity of water as it comes in,” Crowley said. Union Pier’s “hard edge” and acres of pavement that allows the water to “run off and flood our streets,” is inimical to resilience planning. Union Pier is also “public property,” and the SPA can no longer stonewall public involvement. And the terminal’s “hard edge” with nine acres of paved parking is inexcusable and unacceptable. Cruise ships represent just five percent of SPA revenues, the city receives no passenger revenue whatsoever and because Carnival passengers sail to become tourists in Nassau or Freeport, they don’t spend much money here. A cruise terminal at Union Pier would constitute a misuse of this exceptional property, yet a planned 63-acre downtown development would transform the city, adding millions in tax revenues. Charleston can’t afford this terminal plan. And if we don’t stop it, Venice won’t be the only city under water. Jay Williams, Jr. arrived in Charleston in 2001 to escape the cold and relax in the warmth of a better culture and climate. This all worked well until May of 2011 when he attended a cruise terminal discussion at Physicians Hall. Click to view article in full. Barcelona Shows Charleston What it Needs to Do…. There was a time when Charleston was at the forefront of maintaining the balance between tourism and quality of life….of protecting the city’s historic integrity while encouraging others to appreciate it. Now we have to hope our elected officials will learn from others. Barcelona is the latest. Read here for more!